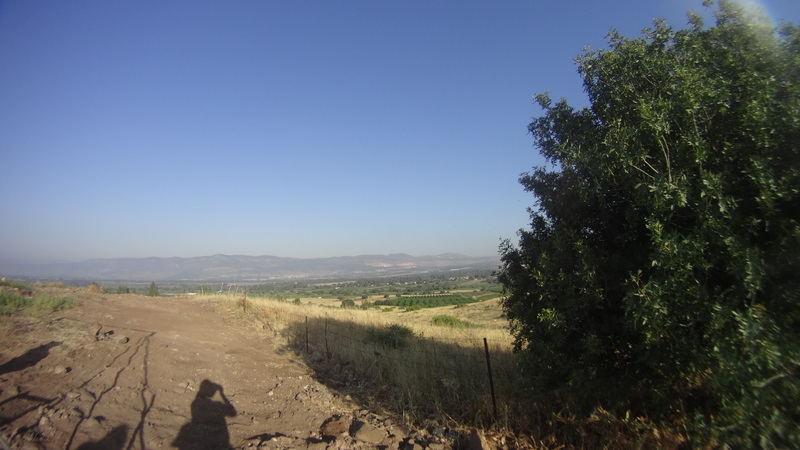 Waking up around 5 A.M. and arriving at the digging site shortly after seems like it would be a difficult task. However, when I am greeted my so many beautiful sights throughout the sunrise, it makes me forget about the early hours completely. The square I have been assigned to is in the lower portion of the picture above and it is located along the northern edge of Omrit. 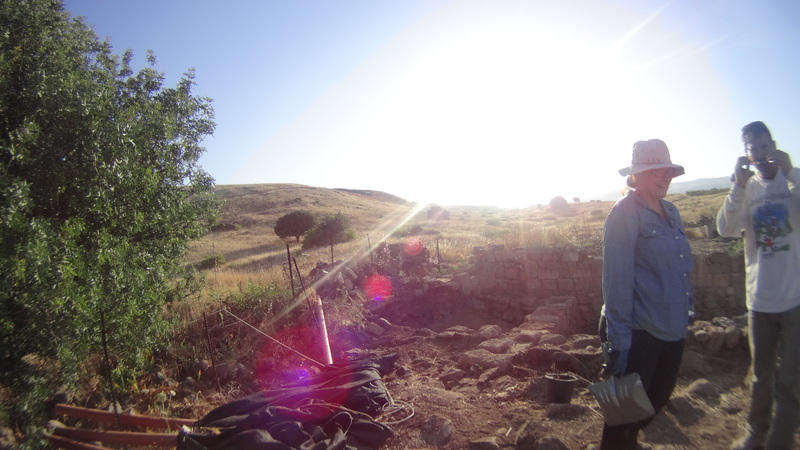 Our square is important because it is currently the deepest on site, which allows us to look at what life may have been like at Omrit during the Hellenistic and Early Roman periods. At first we were finding pottery from many different time periods, but as we continued to dig, our pottery became more consistent and we even found a large basin that most likely came from a fountain near the main temple complex! Finding this basin was amazing, but it brings up so many questions, like: “What on earth is this beautiful bowl doing on the floor of a house so far from the temple?”. The picture above shows a lower segment of my square. Over the past week, we have been working to uncover the bedrock of our square. This is extremely important, because the first residents of Omrit used bedrock as the starting point for their structures. This means that we need to continue to dig until we reach bedrock to ensure that all potential structure of artifacts are found. This part of our dig is especially challenging because all of the dirt we are trying to remove and haul away in buckets is mostly made up of heavy and “chippy” material. We have only uncovered a small portion of bedrock and we need to continue in other areas. The bedrock at Omrit is not entirely even and it is often undulating, adding to the confusion of understanding the ancient building my square is working to uncover.